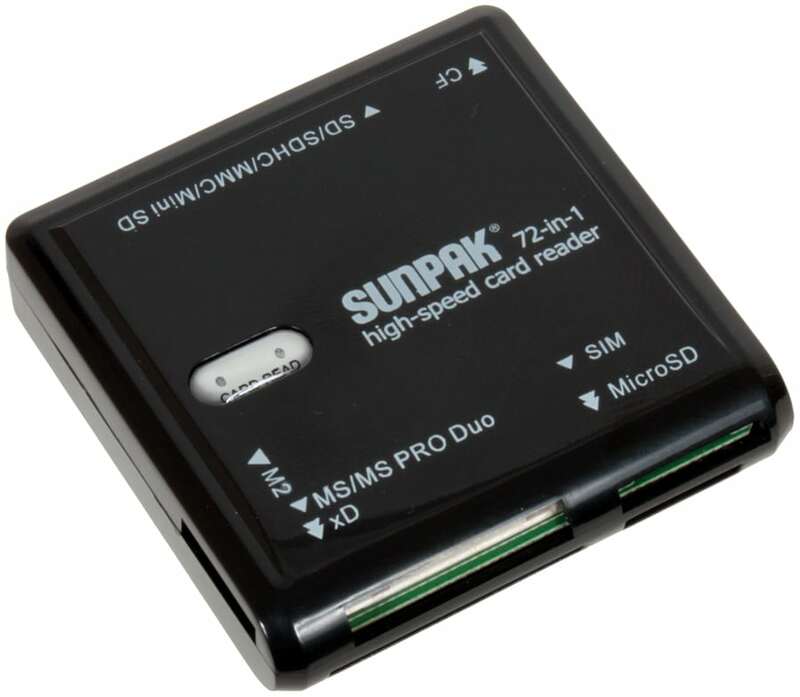 The Sunpak 72-in-1 card readers are the perfect accessory to anyone’s computer needs. The super slim design is ultra-compact; taking little room on your desk top or carry it in your pocket or purse. Great for uploading pictures, videos, music and files to your computer or from your computer to anyone of the compatible cards. Incorporating the latest technology with USB 2.0 transfer you won’t be sitting around waiting for files to upload or download. With seven different slots, you can read all the most popular types of memory cards from CF to SD and Memory Stick to xD in a flash! It reads SIM cards too!